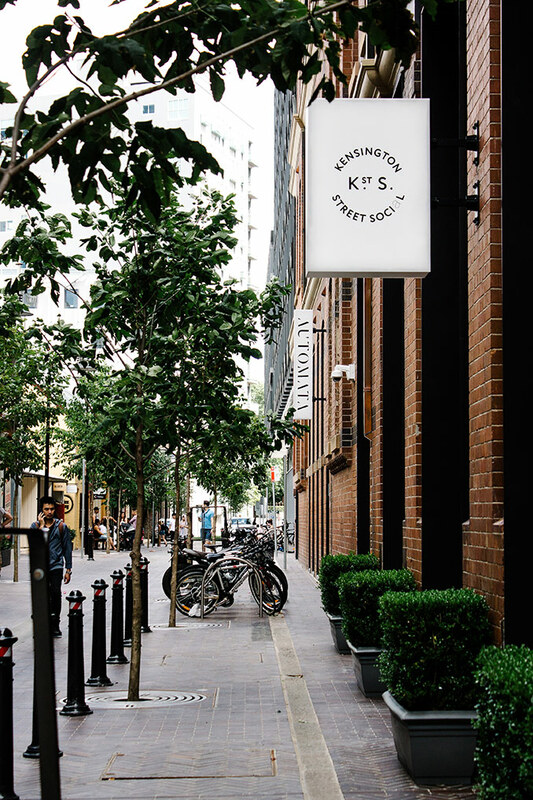 Kensington Street is the vision of Greencliff Executive Chairman Dr Stanley Quek and Frasers Property Australia, first defined in Central Park’s 2007 public domain plan and further advanced by Tonkin Zulaikha Greer and Turf Design Studio in collaboration with Jeppe Aagaard Andersen. 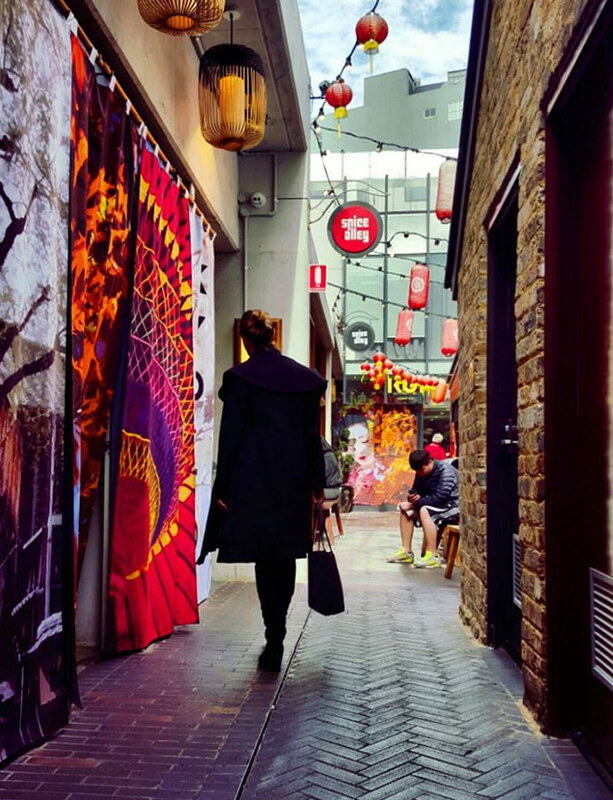 The street offered immense possibilities – a built fabric comprised of some of Sydney’s oldest workers cottages, terraces and warehouses. 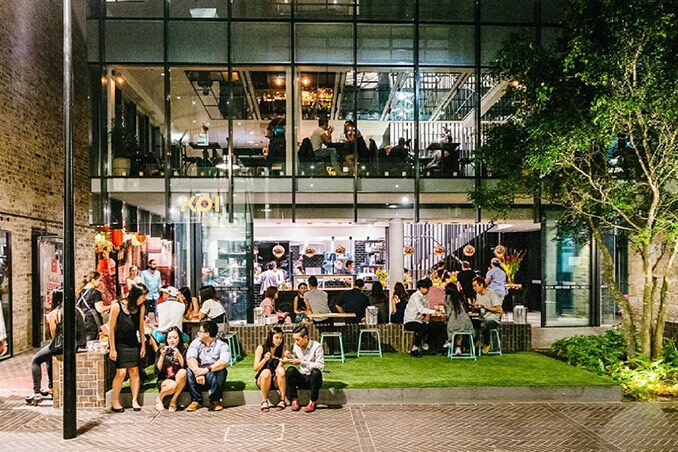 As landscape architects and urbanists how could we reimagine the street? 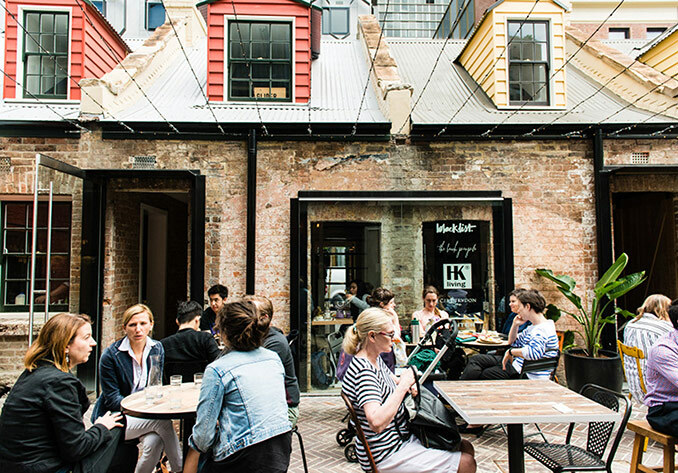 How could we build on the street’s unique story and in so doing make a new Sydney place? 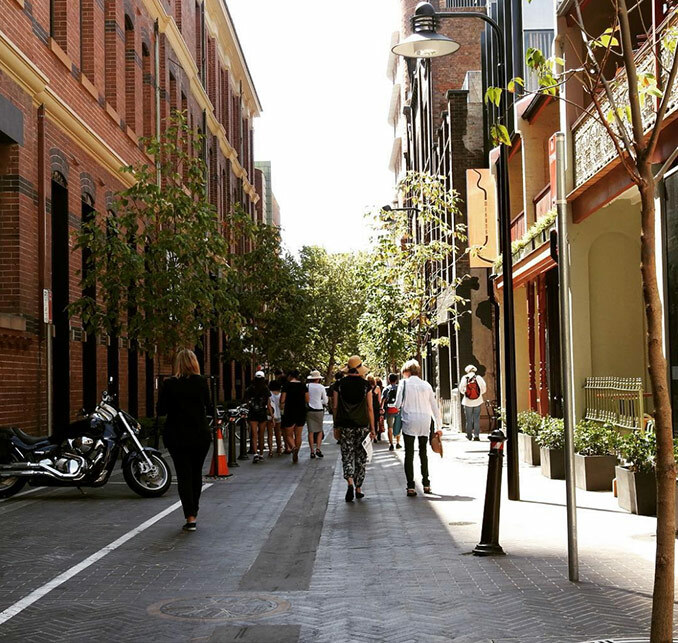 The first imperative was its physical connection – a series of thru-site links to the emerging Central Park precinct were vital in stitching the street back into the fabric of Chippendale, in Sydney’s downtown CBD. In parallel, a process of boiling down – carefully understanding the history and many heritage qualities of the street. Then came stripping back – removing those elements not intrinsic to its spirit of place. Finally, carefully adding in – lighting, trees, seats and ground plane – the public domain infrastructure required as fit for purpose. We aimed to touch lightly but decisively in forging something new from old. 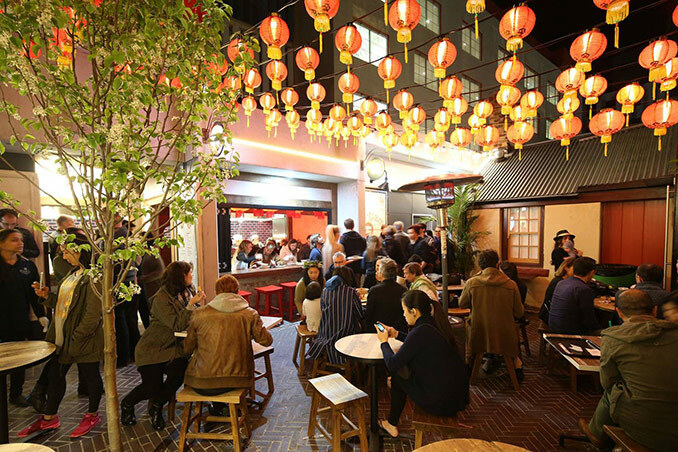 “When Greencliff purchased Kensington Street’s historic worker’s cottages and warehouses, our vision was to reactivate the heritage buildings along the street and redevelop them for contemporary food, lifestyle, artistic and commercial endeavours,” Dr Quek said. Placemaking: Landscape Architects are a key contributor in the making of cities. Our blended knowledge of urban design, environment, community and infrastructure makes our profession unique in connecting people and place. 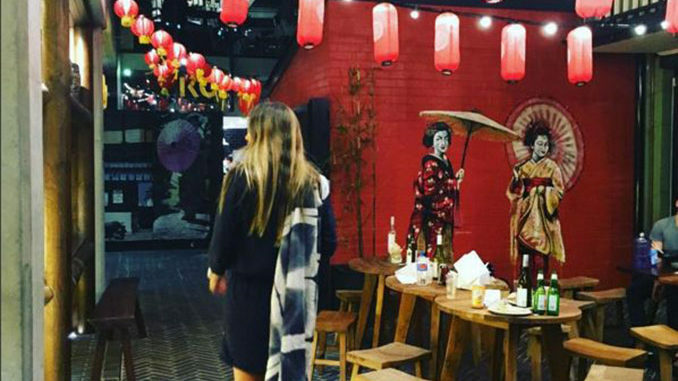 In Kensington Street our role was to make a robust and authentic street for living, where the hand of the designer remains largely unseen. Creating a shared zone: The design team developed a ‘shared street’ approach, integrating cars within a pedestrian-focused environment. The street presents motorists with a succession of subtle physical and visual restraints designed to encourage slow driving. A central, granite dish drain, loose avenue of trees, bollards (mandated by RMS) and paving all combine to constrain vehicular movement and parking. 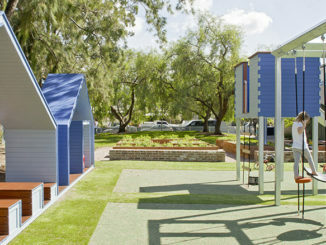 Collaboration with architects: The design team worked with Tonkin Zulaikha Greer and heritage architects to carefully blend the language of the public realm with the heritage of the built form. 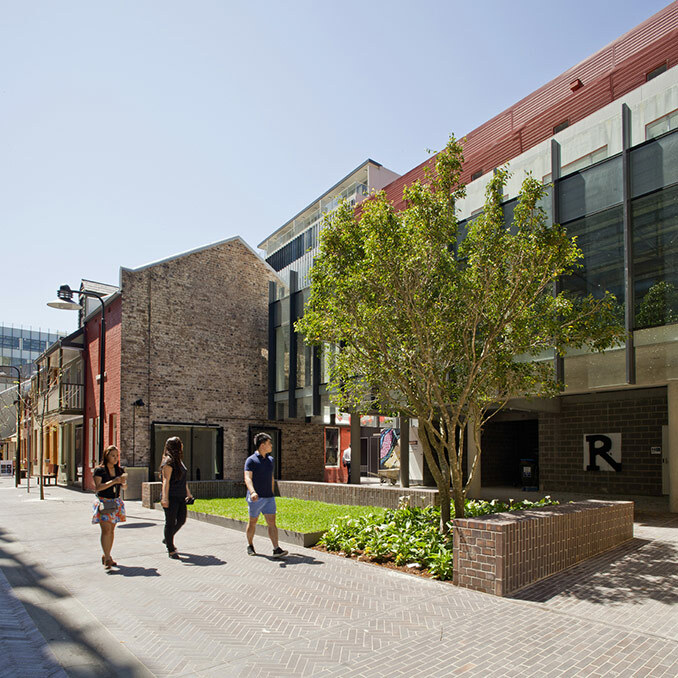 Working class terrace facades have been retained and restored; a significant initiative in retaining heritage value in the street. 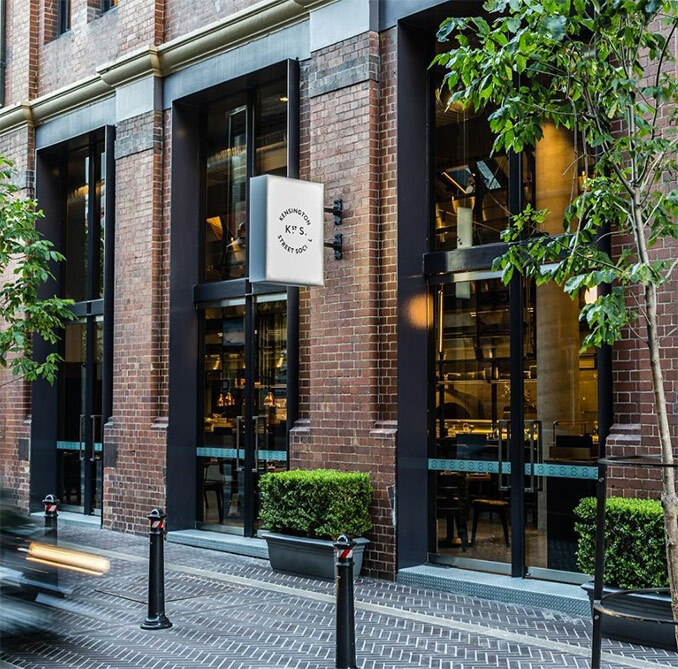 The Old Clare Hotel has undergone a major overhaul and through careful adaptive reuse, has joined with the former Carlton United Administration Building to transform into a 5-star hotel by Unlisted Collection. 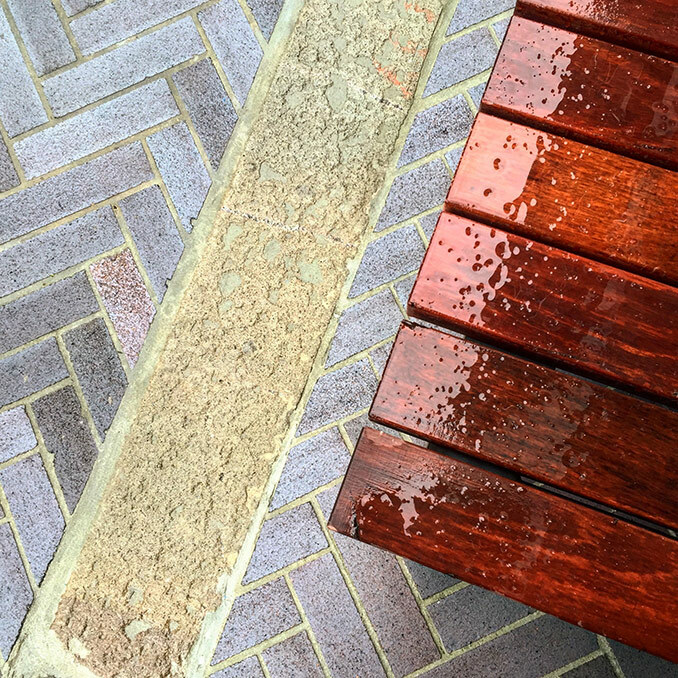 Retaining the site’s heritage qualities: Original trachyte kerbing has been preserved and reinstated on its original alignment – a subtle palimpsest within the new brick ground plane of bespoke Bowral brick that pays homage to its local heritage. 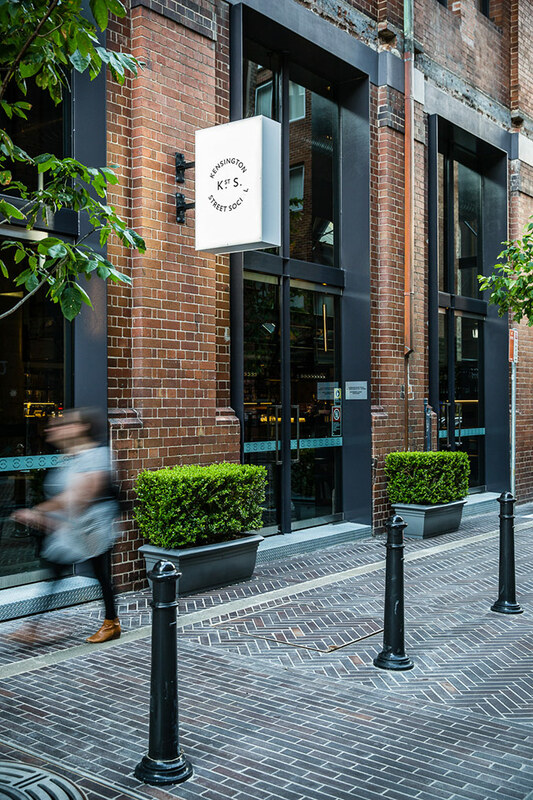 Kensington Street’s highly innovative design and carefully executed heritage adaptive reuse strategy has revitalised one of Sydney’s oldest streets into a vibrant new public place that contributes to the evolving street typology of the city. 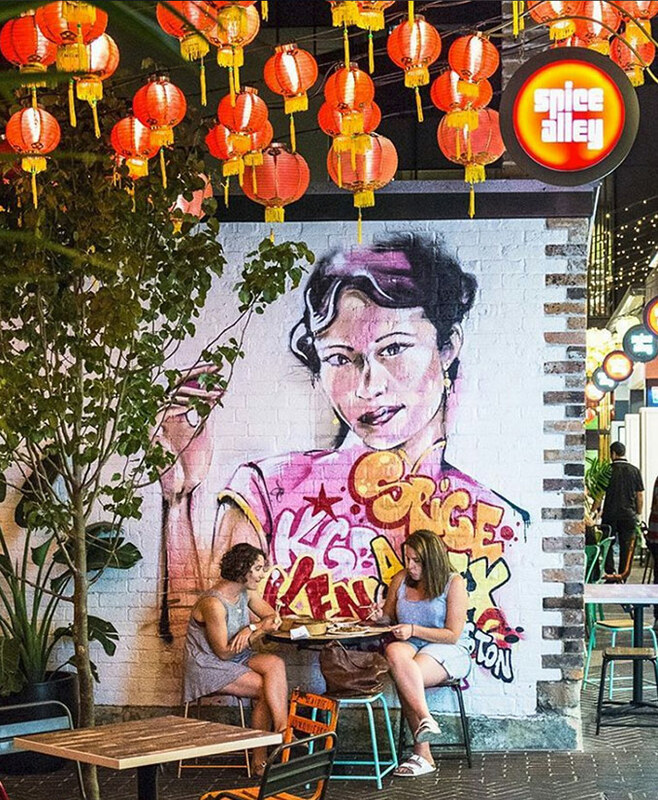 The place is a hive of activity, buzzing from the early morning until late at night with people of all ages and backgrounds exploring the street’s creative spaces, dining and cultural offerings.